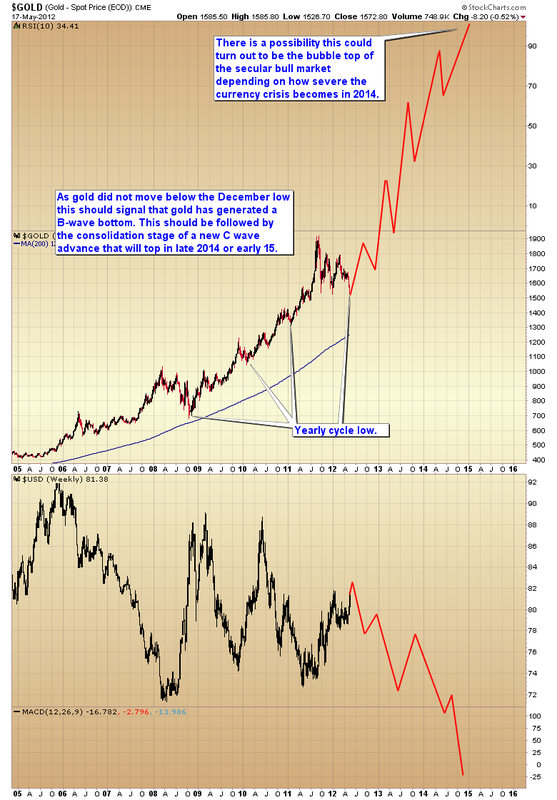 Toby Connor: Once every year gold and stocks form a major yearly cycle low. 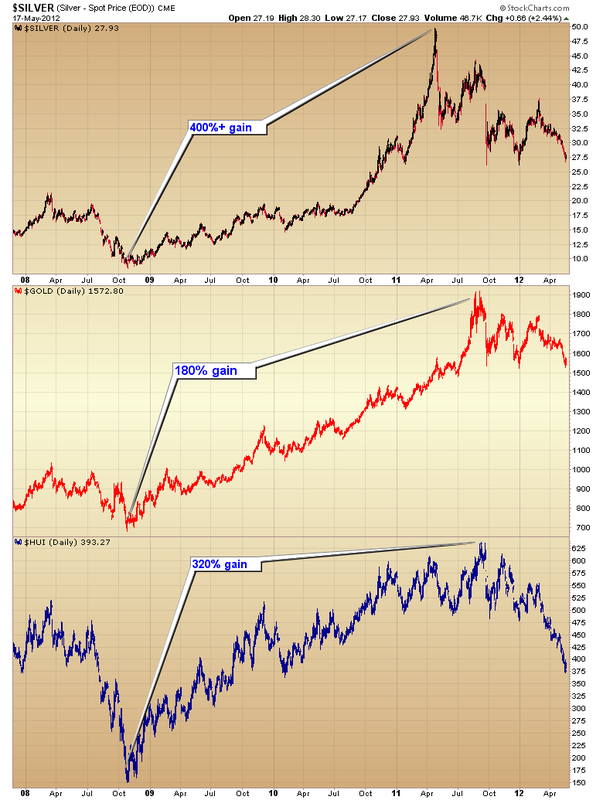 Commodities form a major cycle bottom every 2 1/2 to 3 years. Every once in a while all three of these major cycles hit at the same time. I’m pretty sure that’s what is happening right now. 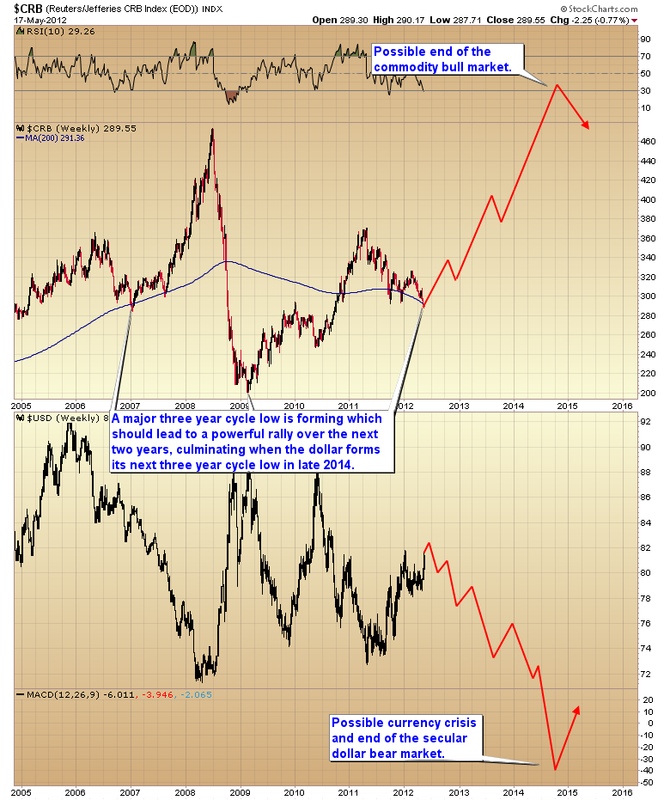 The implications are that once the CRB has completed this major cycle bottom we should see generally higher prices over the next year and a half to two years, presumably topping during a major currency crisis as the dollar drops into its next three year cycle low in the fall of 2014. 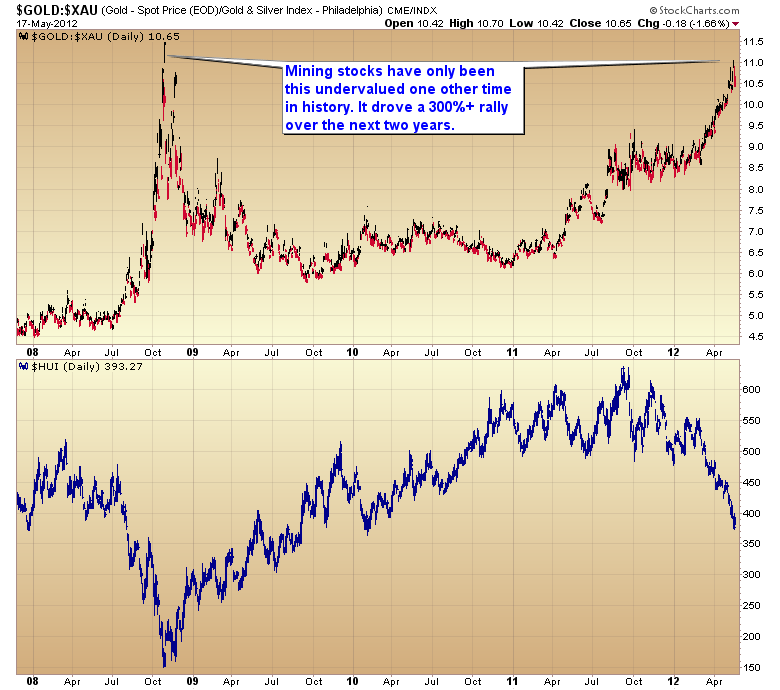 I think the 30 point rally in gold today is signaling that gold has put in its yearly cycle bottom. Since gold did not break below the December low of $1523 I think we can assume that this is a B-wave bottom and should be followed by the consolidation phase of a new C-wave that should breakout to new highs either later in the fall or next spring. 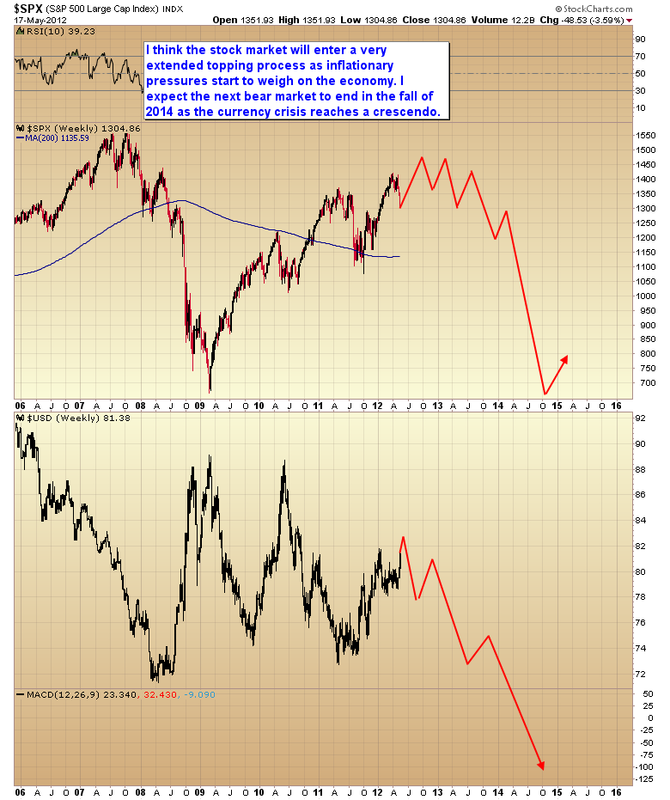 The next two years should generate an even more impressive advance than the 2009-2011 rally, possibly even generating the bubble phase of the bull market in late 2014 or early 2015 as the dollar crisis reaches a crescendo. This next C-wave will be the C-wave of the mining stocks. During the irrational selling over the last eight months mining stocks have reached levels of undervaluation that have only been seen one other time in history(2008). That drove a 300% rally over the next two years. Related Tickers: SPDR Gold Trust (NYSEARCA:GLD), iShares Silver Trust (NYSEARCA:IAU), Market Vectors Gold Miners ETF (NYSEARCA:GDX), iShares Silver Trust (NYSEARCA:SLV), Goldcorp Inc. (NYSE:GG), Barrick Gold Corporation (NYSE:ABX), Kinross Gold (NYSE:KGC), Agnico-Eagle (NYSE:AEM), IAM Gold (NYSE:IAG), Yamana Gold (NYSE:AUY). Toby Connor is the author of Gold Scents, a financial blog with a special emphasis on the gold secular bull market. Mr. Connor’s analysis skill of the markets is largely self-taught, though he admits to being an avid reader of Richard Russell and Jim Rogers, among several others.